When I spoke with the driver, he said that he only occasionally gets comments about the Smart Car. 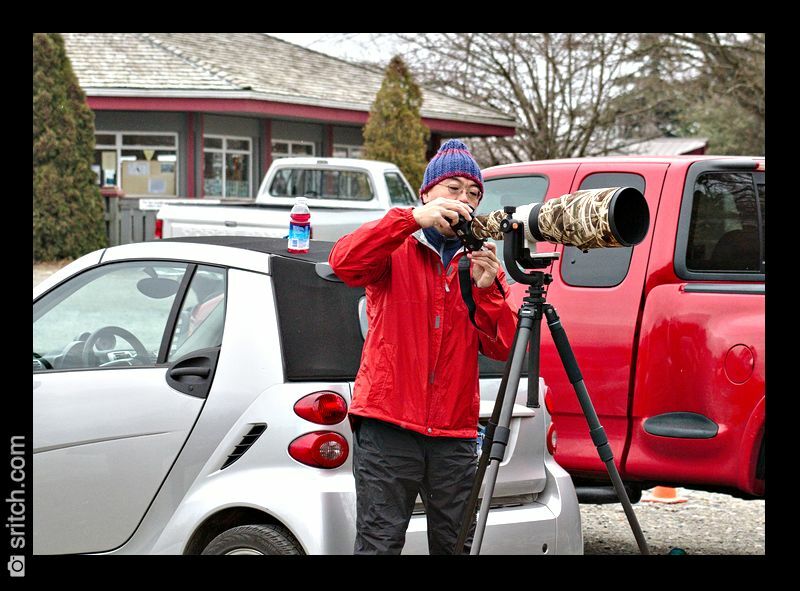 He uses 2 Canon 7D cameras, one with the 600mm lens and the other one with the 100-400mm zoom lens. 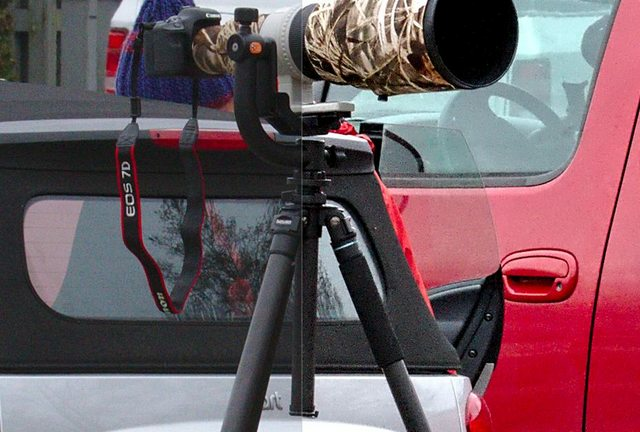 Between the cameras, the lenses, the Gitzo tripod, the Gimball… it’s a toss between what’s more expensive: the photography gear or the car?